The most exquisite collection of chocolate truffles and ice cream alternatives totally jam-packed full of amazing organic ingredients. Everything is free from gluten, dairy and soya and honestly some of the tastiest things we have ever eaten! The chocolate truffle collection consists of eight different varieties, including the super luxurious ‘Gourmet Selection’ and the deliciously intriguing ‘Artist’s Collection’. They also have Easter covered – a thing us health foodies can seriously struggle with. Within each truffle variety there are an array of different flavours too – think Banoffee Toffee, Fine de Champagne and Rhubarb and Vanilla Fool – sounds pretty unbelievable, right? Too good to be true perhaps? Trust us, these bad boys do NOT disappoint in any way, shape or form. 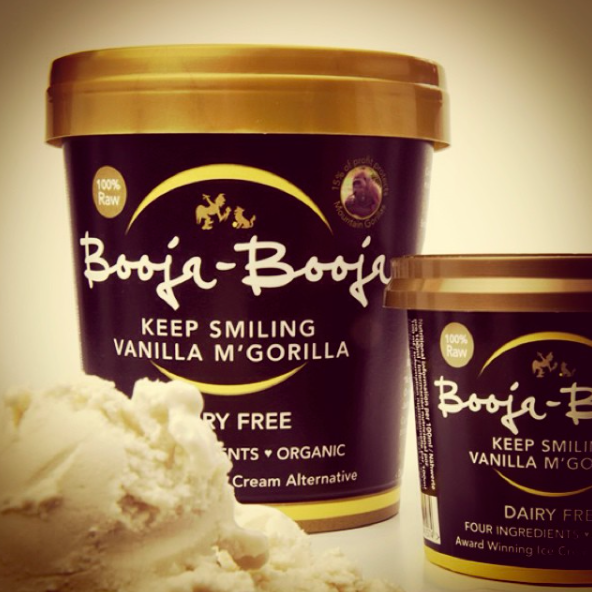 It doesn’t end there… Anyone who has recently adopted a diet free of dairy and refined-sugar may momentarily miss being able to pop out and pick up a tub of ice cream on a Saturday night, however Booja Booja have got it covered with a plant-based alternative that tastes 100 times better than your average tub of Ben and Jerry’s AND is genuinely good for you! Made from nothing but nourishing ingredients such as cashews and agave syrup, these ice cream alternatives are so creamy that you won’t believe they’re not the ‘real deal’. The flavour selection is just perfect too, with our personal fave being the Pompompous Maple and Pecan option, but there are many more including a Hunky Punky Chocolate and a Coconut Hullabaloo flavour. Let us remind you that there are only four or five healthy ingredients to each flavour too – seriously perfect! 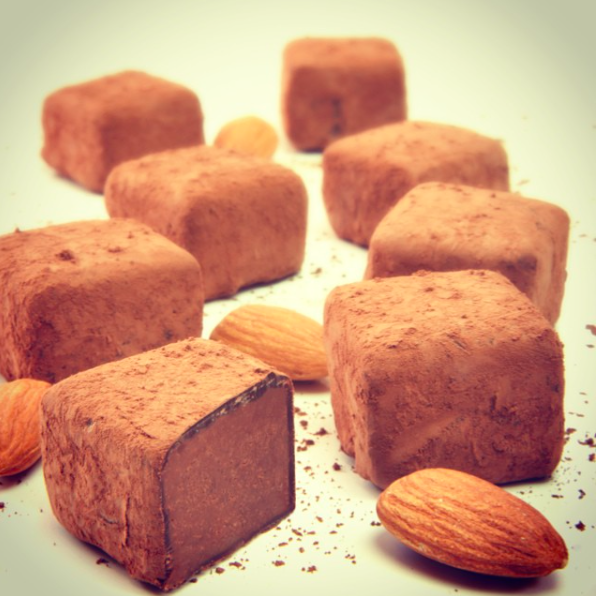 The truffles make for the perfect gift to suit any occasion (although there definitely doesn’t have to be a reason to spread the Booja-Booja love), we would certainly love to receive a box of these for Valentine’s Day, an anniversary or even a wedding gift. 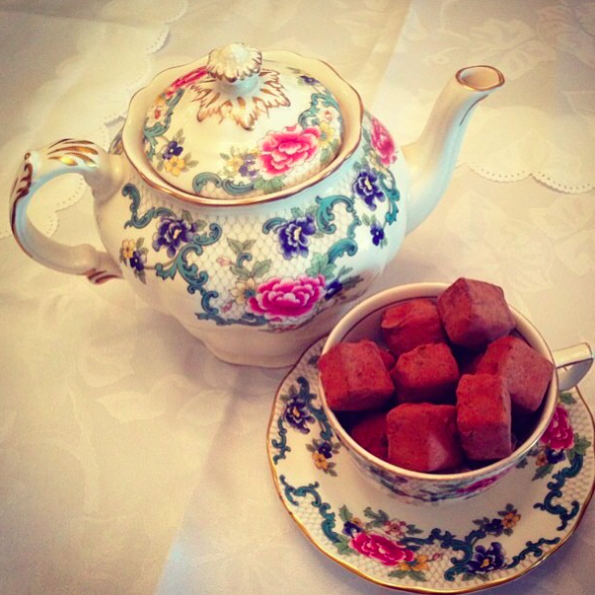 They ooze class and elegance so they are certainly a good option if you’re looking to impress someone! Of course, we all deserve some indulgence now and then so we love to keep a box in the cupboard to snack on as a guilt-free treat. As for the ice cream, it really does make for the perfect weekend indulgence, but it’s also a great accompaniment to desserts (we love the Vanilla M’Gorilla flavour paired with a slice of double chocolate cake http://www.naturallysassy.co.uk/recipes/double-chocolate-cake-with-a-salted-caramel-vanilla-icing). If you’ve got any dinner parties in the pipeline, a tub of Booja-Booja ice cream is the perfect addition that even healthy eating skeptics will adore. Alternatively, digging in with a spoon is, by our standards, perfectly acceptable.. The brand itself holds a great philosophy; they support two charities a year passing on 5% of their profit, which is so wonderfully refreshing to see, not to mention that they are a lovely company! 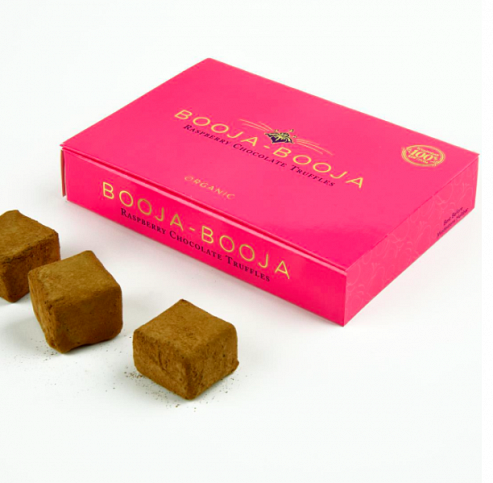 Booja Booja ultimately aim to provide people who are either keen to stick to a plant-based diet, avoid dairy and refined sugars, or simply want to indulge in flavours they love without having to ensure the sluggish consequences that often accompany the unhealthy versions in the supermarkets. They recognise that we all need a little luxury in life through their absolutely gorge packaging (the boxes could genuinely be used as a jewellery box or something! 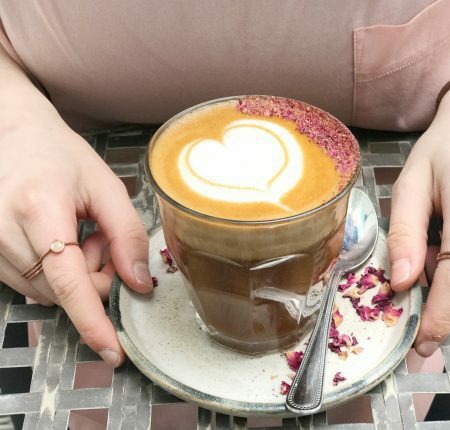 ), but aim to create these luxuries in a sustainable way; in other words, a way that will make people feel their best, whilst still remaining unbelievably delicious – let’s just say that they have certainly succeeded at that! Holland and Barrett, Planet Organic, Wholefoods and many other independent health stores stock Booja-Booja products as well as Waitrose supermarkets, so to refine this, let’s just say they are pretty much accessible to anyone! You can also order them online from a selection of online stores including Ocado – for more details on this check out the Booja-Booja website as they have a handy stockist list available. Wherever you are in the UK, Booja-Booja pretty much have you covered! 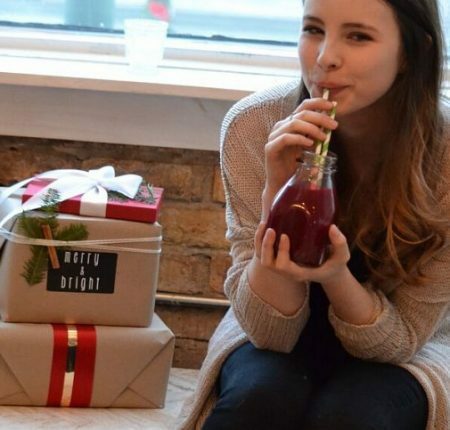 The products are delicious, the packaging is beautiful and the company has real heart – what’s not to love? 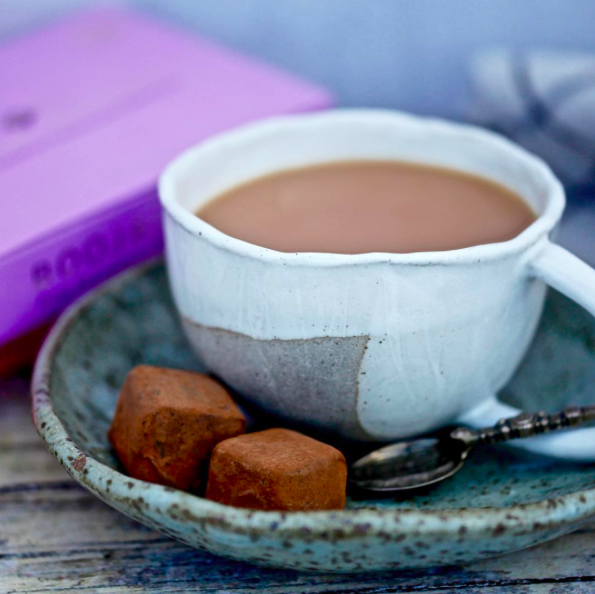 As total chocoholics, we are constantly on the hunt for the perfect thing to satisfy our sweet tooth whilst also making us feel amazing, and the truffles fill this void perfectly. The ice cream allows us to be social with our non-plant-based friends and is honestly just heaven in a mouthful. Booja-Booja’s ethos is wonderfully inspirational and their products we could not recommend enough!